This graph shows the expenditure of the so-called super PACs in supporting their candidate in the United States up to November 20, 2012. Super PACs are independent expenditure-only committees, which may raise unlimited sums of money from corporations, unions, associations and individuals, then spend unlimited sums to overtly advocate for or against political candidates. However, direct coordination and communication between political candidates and super PACs is prohibited. 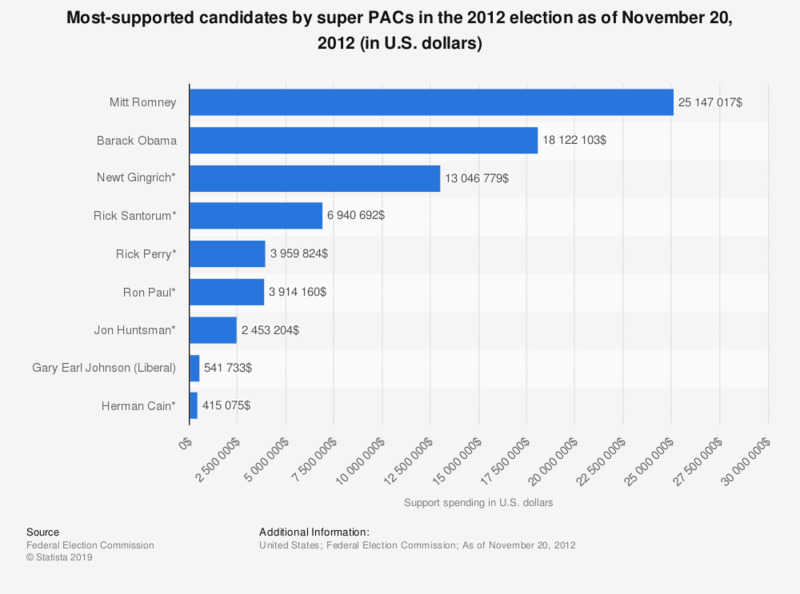 Each of the GOP candidates is or was supported by at least one super PAC. Super-PACs have been spending about 24.77 million U.S. dollars to support Mitt Romney up to November 20.